The popular nonfiction books by Don and Linda Pendleton that part the veil between worlds and share the inspiration, angelic wit, ageless wisdom, and the spiritual psychology of the spirit guide, Dr. James Martin Peebles. Do you often have the feeling that an unseen presence is guiding or influencing your thoughts or actions? Do you sometimes awaken in the night with an eerie certainty that someone or something has been there in the room with you-something not exactly human? Have you ever looked up from some private task and thought for an instant that you saw a flesh-and-blood apparition of a departed loved one, or perhaps felt a gentle touch upon your head or shoulder? Do you feel that you have guardian angels, that prayers are frequently answered, or that you often receive information that is not available to you through any of the five senses? of life. It is powerful, it is beautiful, and it rings with truth. I loved it!" Surely each of us, at least once, has looked up from some private task and seen, for an instant, a flesh and blood apparition of a departed loved one or felt some subtle kind of communication which comes from the other side. The pages of To Dance With Angels hold a key to the meaning of life on planet Earth and all that lies beyond, revealed to the authors, Don and Linda Pendleton, in a clear and simple language by one who has experienced it all. James Martin Peebles, the "grand spirit," was born in 1822 in Vermont and died in 1922, days short of his one hundredth birthday. Clergyman, physician, author and world traveler, Dr. Peebles was highly active on Earth, and from the other side has remained keenly interested in human destiny, regarding communication with Earth as "my greatest recreation, greatest pleasure, and most extraordinary growth." Shortly following his death, his communication with Earth was established and through various mediums throughout the world, continues to this day. 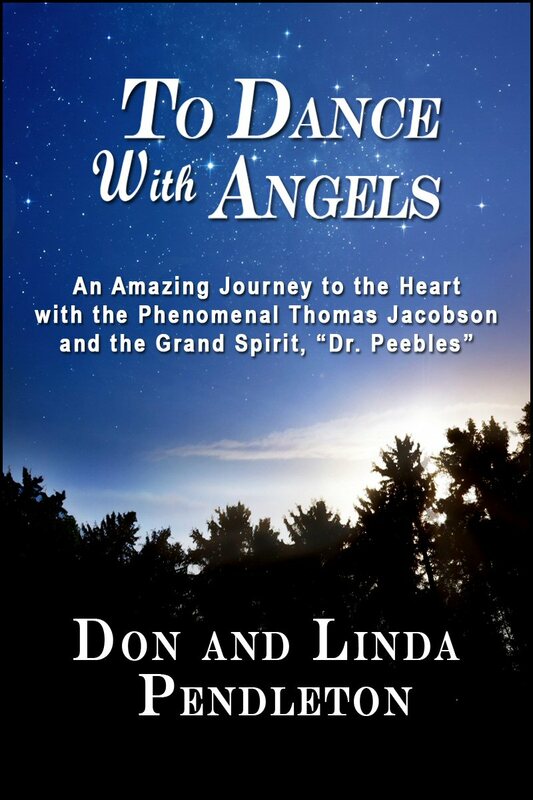 To Dance With Angels is structured around a series of in-depth interviews with Dr. Peebles through the mediumship of Thomas Jacobson and is a definitive study of man's spiritual nature and a refreshing, inspirational, and enlightening look at life and death. 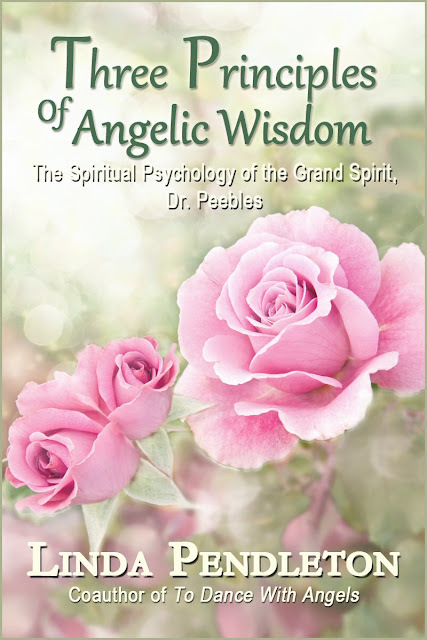 Dr. Peebles shares his wisdom, angelic wit, and humor on subjects such as birth and death, past lives, guardian angels, love and relationships, and the lessons we have chosen here on Earth. His spiritual psychology is "down-to earth" and easily incorporated into our every day lives. It is a book for anyone looking for spiritual understanding and confirmation that life does not end at death of the physical body. What began for Don and Linda as a casual curiosity about mediumship developed into this fascinating study of Jacobson and his phenomenal connection with Dr. Peebles. "We soon had to accept the inescapable conclusion," Don stated, "that Dr. Peebles was no mere dissociated personality but was, in fact, a spirit communicating with us through Thomas. It became a book that had to be written. We could not keep this information to ourselves. It had to be shared." To Dance With Angels, has enjoyed four English language editions. It was published in Japan in 1999 and in Russia in 2004. In 2011, after 20 years, Linda has now published a Kindle edition and a new print edition with a new Introduction. In December, 2015, an audio book edition was published. 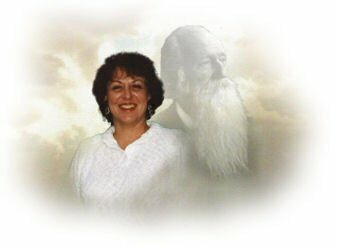 In 2002, Linda published the follow-up book, Three Principles of Angelic Wisdom. The new book delves further into the spiritual psychology of Dr. Peebles along with biographical information on James Martin Peebles' terrestrial life. but a great one. And I do not use the word ‘great' loosely. A book that, ideally, everybody should read." [and] of universal importance. The book is sublime." "The world through the wise eyes of Dr. Peebles. no matter what your beliefs about spiritualism." to the literature of spirit communication." world may now share in their love and wisdom through this wonderful book." up. This was too good to not want more." "Thank you for writing To Dance With Angels...and changing my life." it at least four or five times, and as I write this letter, I'm on the last chapter again! I now view life. Dr. Peebles is an amazing spirit." been put in touch with Dr. Peebles' teachings." "I am only half way through your book and I am ecstatic!" "I just finished your book To Dance With Angels. I was absolutely blown away." "I have just had the pleasure of reading To Dance With Angels. Thank you so much. It is enlightening, rich with excitement and full of love and peace." "To Dance With Angels is fascinating and powerful. Thank you for doing the book." presented itself in such readable, simple and yet exciting a manner." "I found your book very compelling and intriguing." "I love this book. It's helped my life. Thank you very much." I give it to them. That's how strong a message I feel your book contains!" of me that I didn't know existed." Copyright 2012 by Linda Pendleton. All Rights Reserved. Poetry is a bridge between the physical and spiritual worlds. The 19th century was an age of artistic renewal, rich in philosophy, poetry, and literature and it was at mid-19th century when Spiritualism came into the forefront and flourished in America and worldwide. Varied beliefs and practices grew from the conviction that the living and the dead could communicate. Although much of the literature of ancient days spoke to the idea that there is an afterlife—a continuing life-cycle—during this period of the 19th century the belief became more pronounced and was very much a part of the writings and social activities of many in literary circles. 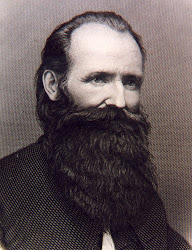 Dr. James Martin Peebles (1822-1922) was a leading American Spiritualist, prolific author, poet, clergyman, and physician. His literary endeavors and world travels allowed him an opportunity to meet many people within prestigious literary, political, and religious/spiritualists circles. He authored many books on Spiritualism and on his world travels throughout his long lifetime. Within his books not only did he present his own prose and poetry but the poetry of others, especially poetry with a spiritual theme of eternal life, of reincarnation, and communication with those on the other side, including angels. Dr. Peebles wrote of the spiritual expressions of his friends and colleagues such as Walt Whitman, Emerson, Elizabeth Barrett Browning, Longfellow, and a number of other well known gifted men and women. Within A Meeting of the Minds, we have the words of those who have enriched us with their sensitive understanding of the mystical wonders and beauty of life. Those three principles are Loving Allowance, for all things to be, in their own time and place, beginning with yourself; Increased Communication with all of life everywhere, and with respect; and Self Responsibility, for we are always the creator, never the victim. These three sound principles when used in tandem can have absolutely amazing results. Our lives can become much easier, relationships happier and more satisfying as we give up the tendency to consider ourselves victims and take control of our lives. In applying the three principles we can discover that love, understanding, and respect that we put out comes back to us. In this book, Dr. Peebles gives us greater understanding of his three principles, along with deeper insight into the illusion of separation and fear of intimacy. 2. Increased Communication with all of life everywhere and with respect. 3. Self Responsibility, for you are the eternal creator, never the victim. Dr. Peebles’ spiritual psychology is composed of simple and basic truths which can be easily incorporated into one’s life. At times it can have a profound affect and be very significant to one’s personal journey. His teachings can be used in our everyday lives with ease and success. In my book, Three Principles of Angelic Wisdom, Rx for Spiritual Enrichment, I asked Dr. Peebles about this illusion of separation and he replied: "It is a study of love. In order to understand that you carry with you only an illusion of separation, to reach that spiritual truth, you have to first allow yourself to love God and then to love yourself. Only then, when you are comfortable with the truth of that love, can you then reach out to life around you. Earth is a also a school of relationships, with yourself, with others and with all of life. But in order to understand those relationships you must understand that separation does not exist. It is only an illusion of the mind...Never are you alone, never are you unloved." "It is such a paradox that since ancient time, man’s innate drive has been to achieve intimacy, yet, it is his greatest fear. In order to achieve intimacy, one has to release fear. One has to learn to appreciate the diversity, the differences, which are so much a part of life—whether it be a diversity of thought, likes or dislikes, or religious ideals, or social and cultural differences. In allowing those differences in another, whether it takes place within your own family, or within your community, your country, or the world, moves you one step closer to embracing true intimacy. In order to achieve intimacy, one only has to open their heart to receive the echo of another. When two or more are gathered—intimacy can take place. But it only takes one to understand. If you open yourself to intimacy, then no matter what the response or the echo that comes back to you, intimacy has been achieved." "Love has the power to squelch hate." "Intolerance is based on fear. Nothing else." "If one believes at the heart level, at the conscious level, that one is a spiritual being, then one believes there is no death. So why do you mourn for your loved ones? It is because of the illusion that they are no longer with you. Yes, they are not there in the physical sense, but their soul is very much with you, no matter where they reside." "If one believes that he alone creates his life, all his experiences, his thoughts, his actions—and reactions—and takes full responsibility for that, then he can never be a victim. Fear, resentment, anger and hate fall away like the petals of a daisy caught up in the wind." "Life is a pilgrimage; let us kindly help each other along the tiresome journey; for soon, perhaps, shall we put our sandals off, and lay our weary burdens down by the cypress-trees that shade Death’s peaceful river. And when that tremulous hour comes, as it must to each and all, precious will be the memories of kind words spoken, and the good that we have done." "We, in the spirit world, rejoice when we are able to give guidance. We are always available to assist you on your journey, to present a point of view which may enable you to see more clearly, to reassure you that you are not alone, especially at your darkest moments. All you have to do is call upon us, the angels, the messengers, whose pleasure it is to convey to you the love of God. 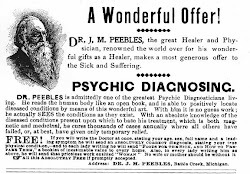 For myself, Dr. Peebles, it is my greatest joy and pleasure to commune with you. I present to you the wisdom and often, the humor, which in some way, may make your journey to the heart and soul a little easier, a little lighter. It is an honor for me to be joined by the others on this side, and to be able to bring forward to each of you our spiritual psychology. Embrace the principles and you will embrace love. Embrace love and you will know God. Know God and you will know All." Copyright 2012 by Linda Pendleton, all rights reserved. Available at Amazon in Print and Kindle. Nonfiction Books by Linda Pendleton and Don Pendleton, at Amazon. Copyright 2012 by Linda Pendleton, All Rights Reserved.. Awesome Inc. theme. Powered by Blogger.